Twitter and YouTube are blocked once again in Turkey as of today, April 6, following the mass circulation of photos of a hostage crisis that ended with the death of a government prosecutor. According to Hurriyet Daily News, authorities have also blocked 166 websites that posted the photos. Although Facebook was initially blocked for the same reason, the block was lifted after the company complied with Turkish officials’ orders to remove the offending images. After a near-nationwide power cut on the morning of March 31, photos of public prosecutor Mehmet Selim Kiraz with a gun pointed to his head began circulating on Twitter. Kiraz was taken hostage by leftist militants in an Istanbul courthouse and held for several hours in a crisis that ended late that night with the deaths of two of Kiraz’s captors and Kiraz himself, following an intervention by special police forces. Kiraz had become a high-profile figure after being assigned to the case of Berkin Elvan, the teenage boy who died after being hit in the head by a teargas canister fired by police during the 2013 Gezi Park protests. President Erdogan (then Prime Minister) expressed no remorse for the boy’s death and dared to suggest that the teen, who had not participated in the protests, may have been working with a terrorist organization. Kiraz was the fourth prosecutor to take on the Elvan case, but some say he was the first who took steps towards identifying those responsible for the killing. Despite Kiraz’s death, all government representatives including the President Erdogan hailed the police officers involved in the operation and described the operation as “successful”. Just hours after Kiraz was kidnapped, images of Kiraz being held at gunpoint began circulating on Twitter. Allegedly taken by his captors, the photos were originally sent from an account that was suspended shortly after the photos appeared. The next day, April 1, 13 media outlets were banned from attending the prosecutor’s funeral, reportedly because they had published the photos. On the day of the incident, television news networks were forced by authorities to cease live reporting from outside the courthouse. 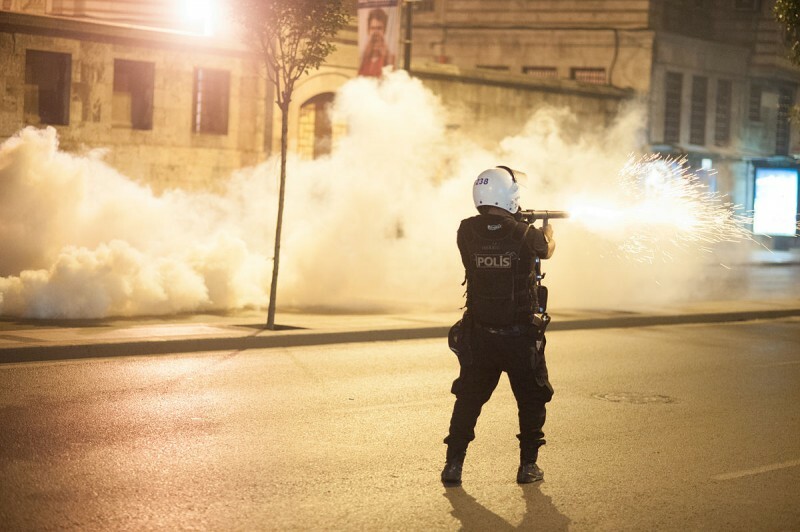 Turkish netizens are not shocked by this rash of censorship – after all, this happened before. In the run-up to the March elections in 2014, authorities blocked major social media platforms following the online circulation of audio recordings that purportedly featured the then-Prime Minister discussing with his son Bilal how the two should hide millions of dollars in cash. His inner circle was also affected – the leaked tapes pointed towards widespread corruption among AKP party members, friends, and CEOs. To dampen public unrest and reduce scrutiny, authorities opted to block YouTube and Twitter. On April 2, a criminal investigation was launched against seven Turkish newspapers for publishing the controversial photographs. And as of today, Turkish Internet users are once again unable to access websites and platforms critical for news and information-sharing.